not only are the flowers by Poppies and Posies drop dead but the outfit that was inspired by this floral masterpiece is equally fantastic. I'll take the whole shebang please. im your newest follower - would love if you would come follow me back and we can keep it touch! Love it! Such great inspiration..thanks for sharing!! These flowers are just so gorgeous! I am a long time follower and lover of your blog, keep up the beautiful work. I have just created a new blog that you might be interested in, it is called Little Luxe and features news and reviews of products, services and firms from the locally loved to the internationally renowned in the luxury sector. You're a successful blogger, congratulations :) How could you get this number of followers? 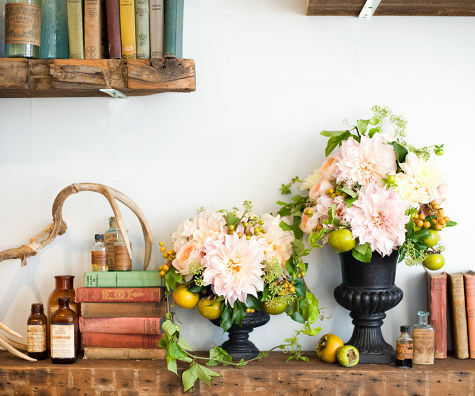 poppies and posies is absolutely killing it lately with their florals. gorgeous!!! I love the colors especially. 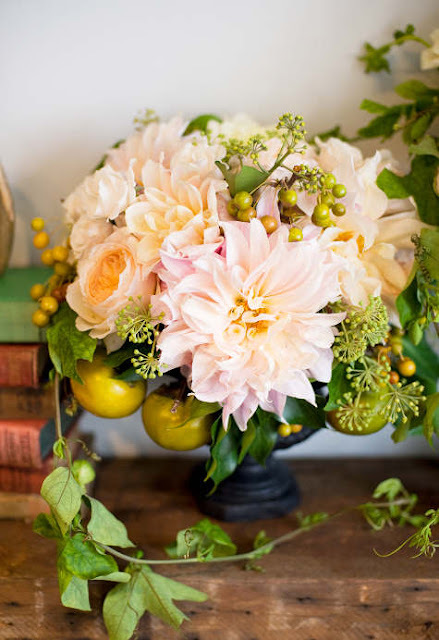 The dahlia flowers are huge and to die for in the photo above...most brides would die to have them as wedding flowers!